The Bookbound Photo Album is available in a variety of colors to match your home’s décor. 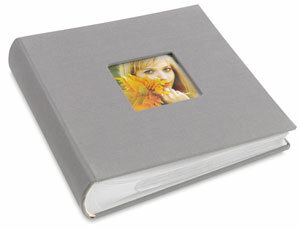 Each album holds up to 160, 4” x 6” photos in archival flex pages that are acid-free, lignin-free, and PVC-free. The pages are also designed to hold 5” x 7” photos, or a combination!